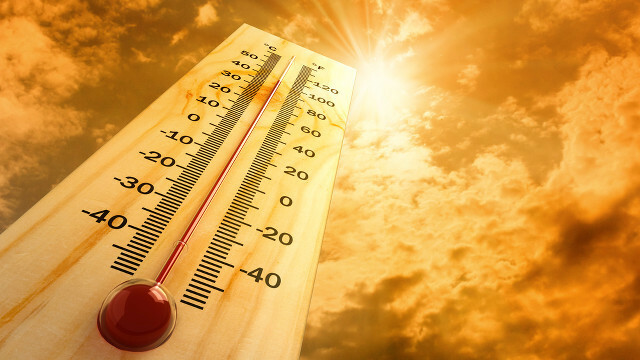 Data published on Tuesday, by the National Oceanic and Atmospheric Administration (NOAA) in the U.S., report May 2015 was the hottest May in modern history, since they started recording such information, back in the 1880s. The issued data coincides with the late message of Pope Francis who made a call upon people to start taking immediate, responsible action towards environmental change since he claims that this has, indeed, became one stringent subject humanity is dealing with nowadays. Following the current data, conclusions lead to an expectancy of the year 2015 to be the warmest ever recorded, surpassing the maximum values registered in 2014. This would actually mean to experience the hottest year in history for the second time, in a range, after 2014 has been previously declared as such. Most relevant information publicly released by the NOAA include the heatwave registered between the period of 21 and 31 of May, when values of temperature exceeded 42 degree Celsius throughout most of India, with temperatures reaching as high as 45 degree Celsius in the northern and central parts of the territory. Also, in Delhi, vales of temperatures exceeded with 4 degrees Celsius the normal May average. Other areas of the world also experienced severe heat with Spain facing cases of unusual warmth and dryness and expecting to have the hottest summer season since the year 1947. Argentina encounters a similar situation of extreme warmth throughout the March- May period, whereas Central U.S., on the contrary faced the most humid May recorded in 121 years, with rains over the usual expected. The situation of ice in the Arctic Sea is also very concerning since the month May of the current year brought about one of the smallest values for the ice extent that has been registered by satellite ever since such measurements are taken. The above mentioned report, by the NOAA also informs on the average temperature on a global level, over both land and ocean. The value for May 2015 was the highest to be documented for the month in question, in the whole history of the the National Oceanic and Atmospheric Administration. Moreover, the average level of temperature for the January-May interval was also one of the biggest to be recorded. As emphasized by Michael C. Mann, who is director at the Earth System Science Center, located at the University of Penn State, the values in question are truly worrisome and complement the message issued exactly on the same day by Pope Francis, who encourages action upon climate change. Unfortunately, these concerning values of temperature only come to confirm what is already known, the fact that we continue to warm the planet and to alter climate and there will certainly be much bigger and far more alarming changes unless immediate action won’t be taken on regard to the problem of constant emissions of carbon.